Do you want to muscle up, shed all of the excess fat AND completely revolutionise your health all at the same time? Are you ready to completely change your life? My Intermittent Fasting Lifestyle was formed gradually over time, and is a by-product of my personal fat loss success. This is not just a temporary fix – it’s a lifetime fix. Eating systems beat diets every time for this reason alone. So sure, on your typical Keto diet, or Paleo (pick your poison), you may lose a little weight. Or, in some cases, you’ll lose a lot of weight very quickly. But you will suffer in the process. You’ll lose muscle and strength. Your lifestyle will take a hit. And worst of all, you’ll regain it all back, if not initially, then eventually. If you have insane restrictions on all your food choices, you’re not going to be able to enjoy a wide variety of food. You’re very limited as to what you can eat. Now, this may be a good thing, but when you take this too far (MOST DIETS!!) then you have serious problems. If you are not going to keep this up for the rest of your life, then you’re destined to fail. What do you think is going to happen when you’re suddenly “allowed” to eat “normal” foods again? Do you think you’re going to be sensible and stay lean? Or do you think you’re going to go completely crazy and regain all of your fat again? Honestly, I’ve personally witnessed some of the most disciplined professional bodybuilders screw this up completely. Most of them do, actually. They come out of competitions intending to stay sub-10% body fat year-round. But they completely binge at social events, celebratory meals etc. They fill up, become bloated and lose all muscular definition they once had. And they do all of this within a matter of weeks. Then they get depressed, anxious, and get into a viscious cycle of mini-cutting and mini-bulking; developing ridiculous eating disorders in the process. Completely unnecessary. And these are insanely disciplined competitors – far more disciplined than myself. The average Joe starting out on his diet has absolutely no idea what he’s getting himself into. Fitness HAS to be a lifestyle if you want to have any hope of maintaining it. Eating less than 20g of carbs (Keto!) is NOT a lifestyle. You will not maintain it. “Going Keto” for a few weeks and then having a binge-fest one night is setting yourself up for dietary inconsistencies and you’re going to suffer in the long-term. Motivation for one thing does not last forever. Do you think you’re going to continue to eat 20g of carbs every day once you have a social life, meals out, social occasions, parties, barbecues, travel etc.? Or do you think your diets going to go out of the window? And we humans have a psychological tendency to go “screw it” once we realise the diet has failed, and we go too far in the opposite direction. I’m also guilty of this. Whereas if you’re “allowed” to eat a variety of foods, and you’re “allowed” more than 20g of carbs, you don’t run this ridiculous risk. You lose fat sustainably, without regaining, by LEARNING TO EAT CARBS PROPERLY, LIKE A SENSIBLE, MATURE ADULT. The Intermittent Fasting Lifestyle works because it doesn’t restrict your food choices, nor the macronutrient composition. Sure, you will have protein and fat minimums to hit. But these are targets, rather than restrictions. The only real restriction you have is total calorie intake. But within this restriction, you’re completely flexible. And you’ll be fine. I don’t recommend doing this all the time, but the option is there – you’re not going to start binging because of unnecessary restrictions on the above. You won’t regain all of the weight you lost once you’re suddenly “allowed” to indulge in the above. Number five is a HUGE component of my Intermittent Fasting Lifestyle. This is because it will reduce our appetite, without restricting you, your social life or your happiness. Actually, it increases your level of freedom, as you’re able to eat more food in the evenings by doing this, which is when you need this caloric buffer the most. Keep reading to access other excellent Intermittent Fasting life-changers. Yes, you need to be disciplined. Yes, you will feel hungry/deprived sometimes. No, you should not seek to put excessive restrictions on food choices, lifestyle, or macronutrients. That is NOT sustainable, and you’ll pay the price for it. Every time. 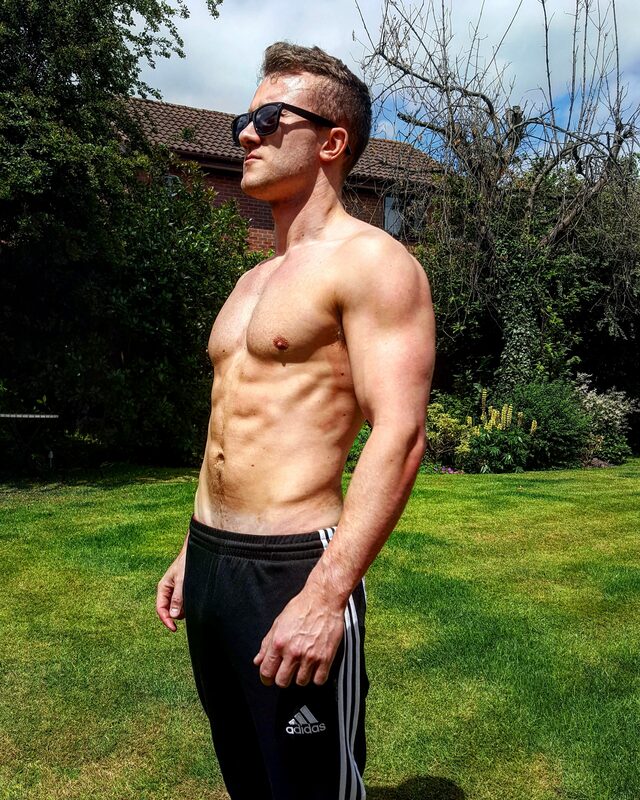 To discover how to change your life by losing that fat forever with Intermittent Fasting, without regaining any of it (by accident – a lean-bulk would be different), and without screwing it up like most people do (!) then sign up to my email list. It contains a 25 page, 4 phase, step-by-step action plan for getting started on your Intermittent Fasting journey. To sign up, simply head to the top right of the screen on your laptop, or the bottom of the page on your phone & enter your best email address. I used this system to get from 17% body fat down to 8%, then maintain 10% year-round.